(AP) PARIS - French prosecutors opened a murder inquiry into the death of Yasser Arafat on Tuesday, his widow's lawyer said, after she and a TV investigation raised new questions about whether the Palestinian leader was poisoned. Many in the Arab world have long suspected that Arafat was poisoned, and a Swiss lab's recent finding of elevated levels of polonium-210 - a rare and highly lethal radioactive substance - on Arafat's clothing has fed those claims. However, the Institute of Radiation Physics said its findings were inconclusive and that only exhuming Arafat's remains could bring possible clarity. Palestinian officials have waffled on that matter - initially approving the exhumation and then saying the matter needed more study - only further fueling suspicions. Arafat died in a French military hospital outside Paris in 2004 of what doctors have said was a massive stroke, but the Swiss lab's tests have renewed interest in his death. The findings were first broadcast by Arab satellite TV station Al-Jazeera, which approached the lab on behalf of Arafat's widow, Suha. She provided the lab with his clothing and other belongings. After the results were released, Suha Arafat filed a complaint asking for a murder investigation. Her lawyer, Pierre-Olivier Sur, confirmed on Tuesday that the prosecutor's office in Nanterre, the seat of the district where the military hospital is, has agreed to take up the matter. Next, a judge will be appointed to lead the inquiry. He added that experts from the Swiss lab would travel to the West Bank in the next few weeks to take samples from Arafat's remains - even though the matter of his exhumation is still in limbo. Arafat, who died at age 75, is buried in a mausoleum in the walled government compound where he spent the last three years of his life under Israeli siege. 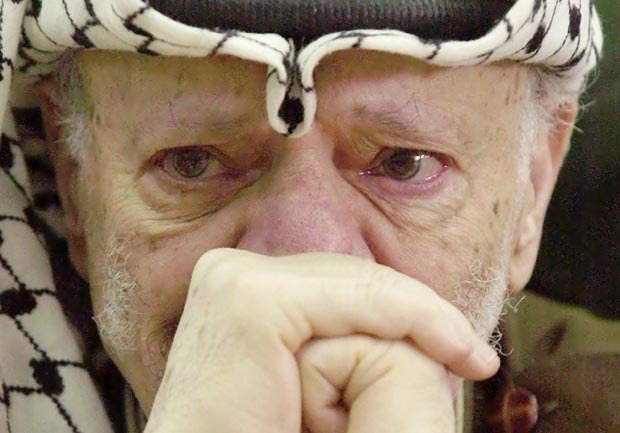 Testing Arafat's bones for polonium-210 could offer the last chance to get to the bottom of Palestinian claims that their leader was poisoned, though some experts say it may already be too late for conclusive answers. Although Palestinian officials have long accused Israel of being involved in Arafat's death, Israel has vehemently denied those charges. "We heard about it in the media. It's not really our concern because the complaint is not lodged against Israel," said Israeli Foreign Ministry spokesman Yigal Palmor. "If there is an investigation, we hope that it will shed light on this matter." Suha Arafat's complaint does not name a responsible party, a common practice in France.